This entry was posted in DIY and tagged beads, comment, dainty, diy, giveaway, jewelry, necklace, tutorial, win. Bookmark the permalink. J, just curious- can the beads fit over wire that’s been doubled over? Or is the hole in the bead only wide enough for a single thickness of wire? The beads are only wide enough for a single thickness of wire. If you don’t have eye pins, you can use jewelry wire that’s high in gauge. Remember, the higher the gauge number the thinner the wire. Hope that’s helpful! haha i knew that from piercings. I would wear this necklace everyday! It would be my new staple…I love to layer necklaces but have the few constants that would always be on to build off. LOVE the look of a few short necklaces or the understated piece like this with a few long accent pieces. LOVE LOVE LOVE. Pretty! 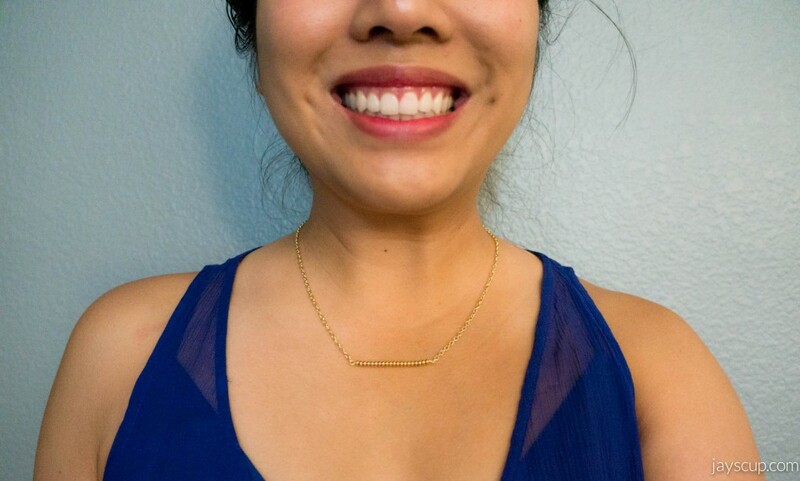 I love dainty necklaces because they’re minimal and you have to get up close to get a good look at them. I would wear it with a simple dress and my hair up! The simplicity of the necklace would contrast well with a patterned top. 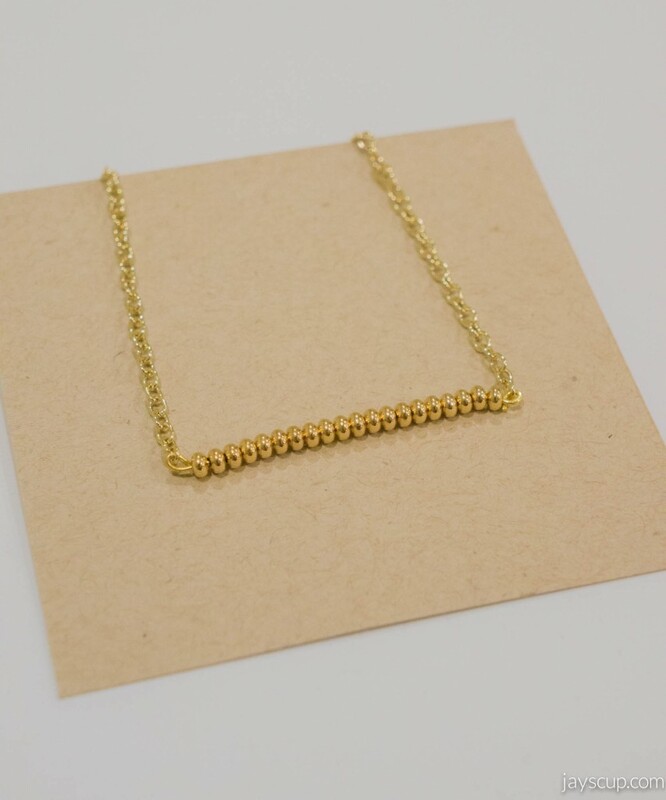 It would also be a lovely necklace to stack other necklaces with! Love your tutorials, J! Keep ’em up! I love the necklace! It’s perfect for wearing on its own or layering with multiple necklaces. I’d pair it up with a silk blouse, skinny jeans, and gold stud earrings. i love it! i would wear it with an emerald green blouse i recently acquired. i discovered that i’m a “winter,” so gold-tone jewelry and deep, vibrant colors look best on me. it’d be perfect for my thanksgiving outfit. you’re such a martha stewart, j! Beautiful! I would wear it with my tan and cream colored dress! Definitely black dress and gold. Something dark to bring out the gold. But what do I know. hahah. She would wear it with leggings and a bright blue bunny sweater.